Still snowing. We haven't gotten tons of snow but enough. The girls are sleeping. 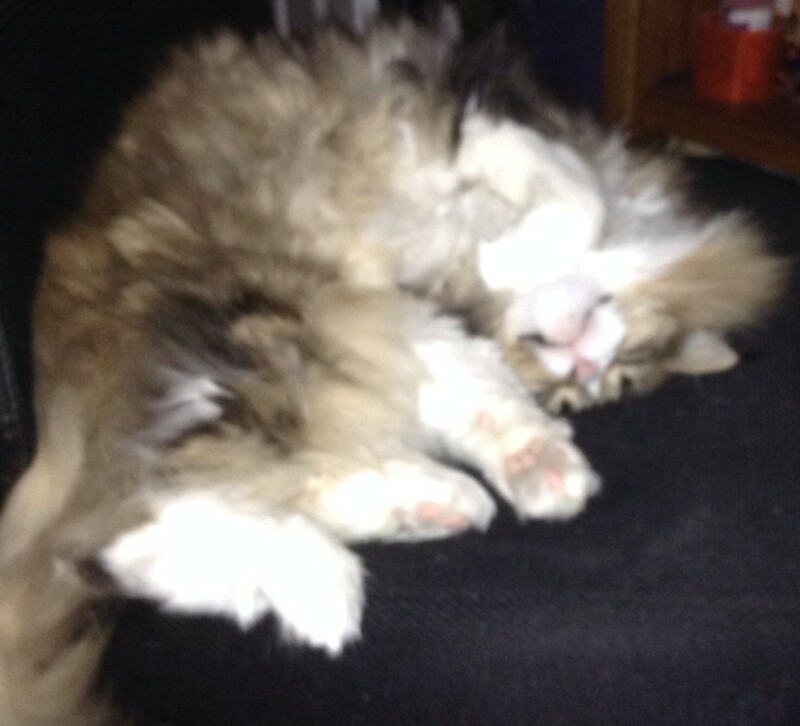 I am contemplating laundry but that would mean removing Fiona from my chair and she looks so cute sleeping.